Enjoy Skype conversations and video calls from the comfort of your sofa with the LG webcam - designed with your LG TV in mind. NOTE: **** Please check your owner’s manual to ensure that the AN-VC300 camera is compatible with your TV model. With a high quality video and audio experience the LG webcam fits neatly on the top of your LG TV and works perfectly with the new Skype application. This Camera is Model number AN-VC300. For 2010 Netcast TV models you will need to use the AN-VC200. 2011 Smart TVs require either the AN-VC200 or the AN-VC300. 2012 Smart TVs require the AN-VC400. Use video calling with Skype from your LG TV! This Camera is Model number AN-VC300. 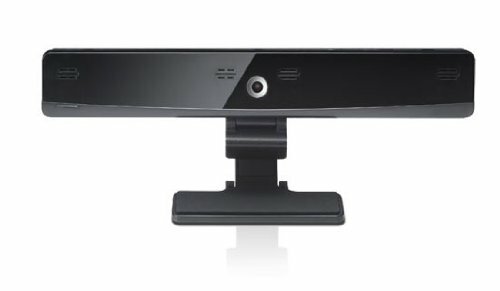 For 2010 Netcast TV models you will need to use the AN-VC200. 2011 Smart TVs require either the AN-VC200 or the AN-VC300. 2012 Smart TVs require the AN-VC400.